The Electronic Privacy Information Center (Epic) has filed a complaint with the Federal Trade Commission about Google Buzz. Google tried to transform its Gmail e-mail service into an untested social networking service and as a consequence displayed social networking lists based on a user's most frequent address book contacts, said Epic. According to the Electronic Frontier Foundation, the problem is that e-mail and chat contacts are not necessarily people Gmail users want to advertise as friends through a public social network. 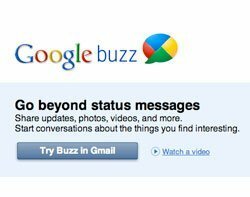 Within days of launching Buzz, Google said it would make changes in response to concerns about privacy, but Epic said despite the changes Gmail users are automatically signed up unless they specifically opt out.